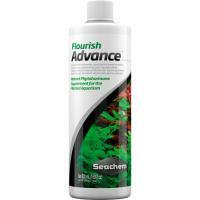 Flourish Excel is a source of bioavailable organic carbon and is an integral component of Seachem?s plant products that is recommended for use with the entire Flourish line of products. Flourish Excel is a source of bioavailable organic carbon and is an integral component of Seachem's plant products that is recommended for use with the entire Flourish line of products. 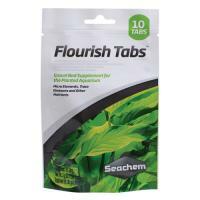 Flourish Iron is a complexed ferrous (Fe+2) iron product which contains 10,000 mg/L of iron and is ideal for iron maintenance in the natural planted aquarium. 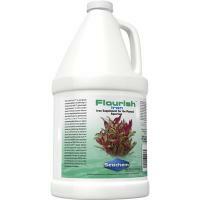 Flourish Nitrogen is a concentrated (15,000 mg/L) blend of nitrogen sources. 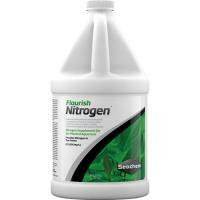 It provides nitrogen in both the nitrate form and the plant-preferred ammonium form. Flourish Phosphorus is a safe solution (4500 mg/L phosphate) of potassium phosphate that takes the guess work out of phosphate dosing. Flourish Potassium contains 50,000 mg/L of potassium suitable for the natural planted aquarium. Supplies a broad range of trace elements demonstrated to be necessary for proper plant health and growth. 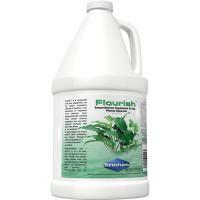 Flourish is a growth stimulator for aquarium plant stems and leaves. 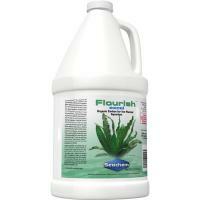 It contains a broad spectrum of essential trace elements, vitamins, and amino acids.